NEW this winter! Game Design, Cinematography and Web Design courses for kids and teens. 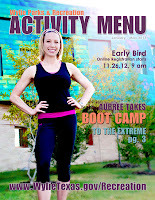 Save 15% on registration fees – take advantage of Early Bird Online Registration now through Sunday, 12.02.2012. Recreation Pass Holders save an additional 15%! 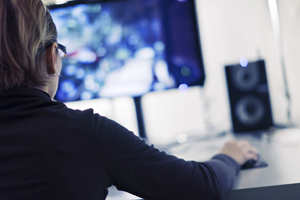 Learn how to make a custom video game and play right on your Windows PC in a fun and educational environment. From designing levels and creating characters to programming movements and control, learn the entire process. Take your finished game home to share. Lights. Camera. Action! Learn what it takes to make your own short film. Make your movie a blockbuster success with various techniques in script writing, filming, acting and directing. Take home a personalized DVD of your finished project to share. Whether you are looking to create a personal website to share with grandparents and friends or improve on a school project, this hands on instruction helps you achieve your goals. Learn how to create and focus your ideal website to reach family and fans using leading industry software. Transaction fee applied to all online registrations. All courses held at Wylie Recreation Center and instructed by Adrian Sanchez. Hurry! Early Bird Online Registration on eligible Winter Spring 2013 courses ends Sunday, 12.02.2012. Browse the Wylie Parks and Recreation Activity Menu and register online now!